Are they really as bad as I hear? I would say 80% of the questions I get every week are from 6.0 Powerstroke owners or potential owners asking about the reliability of these engines. There are so many horror stories out there about them along with a pile of misinformation from an aftermarket industry constantly coming up with the next big fix to cash in on those worries. In this article we will try to explain these issues and give you some insight on the 6.0 Powerstroke engine. First things first, in this article we are going to assume that you are using this truck for regular activities that a person would buy a diesel truck for. Hauling, towing, work, or just commuting. Understand that the information and recommendations below may be different if you are a drag racer, sled pulling king, or dyno competition killer. The average truck owner does a turbo back exhaust, a cold air intake, and usually some sort of programmer. We are talking about stock or slightly modified vehicles. While most of this information still applies, some things you would do differently if you are going for ultra high horsepower. This information is for the 95% of us 6.0 owners that just use our trucks for trucks. 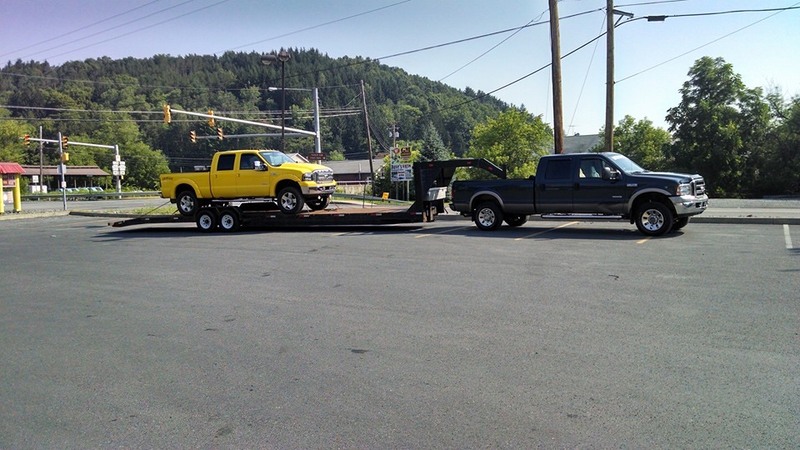 The big question is: Are the 6.0 Powerstrokes really that bad? To be honest, the answer is absolutely not. They are a great running motor that can be made to be durable if maintained properly. Most of the horror stories you hear are coming from owners who do not maintain their vehicle properly and/or those who are unfortunate enough to have someone who doesn’t know what they are doing repairing it. We have had so many of these trucks hauled to our shop after having an amazing list of expensive parts thrown at it trying to get it to run right. So if you are going to own one of these trucks, you need to find a really good shop who understands them or arm yourself with the knowledge and tools to do the work yourself. On the top of your list if you are going to own one of these trucks should be maintenance. I cannot stress how important it is. Please make sure you use a 15W40 quality diesel oil and change the oil and filter religiously at 5,000 miles. The engine uses the oil in several ways. Turbo position is control by oil, injector pressure is controlled by oil, and of course engine lubrication. The oil is asked to work really hard and will wear out quick. Proper oil changes will benefit you more than you can imagine. Synthetic oil is fine to use and does help tremendously when cold starting the truck. But it still needs changed regularly. Fuel filters should be changed every 10,000 miles period. Low fuel pressure is a major killer of injectors. Do yourself a favor and change both fuel filters every other oil change. The first thing people hear about a 6.0 Powerstroke is head gaskets, head gaskets, head gaskets. Are the head gaskets a real issue on these trucks? Sorta. The early years had a different design for the head bolts which led to heads lifting and causing problems. The 6.0 only has four bolts holding down each cylinder and two of them are shared with the next cylinder. It just isn’t as robust of a design as the 7.3 before them. The first couple years the 6.0 was out is where the bad name for the head gaskets really started. Like I stated they had some problem head bolts, but also the aftermarket had not exactly figured out the tuning on these trucks yet. It was not uncommon for someone to put a programmer in and immediately see head gasket failure on the hotter tunes. Every one blamed the weak bolts and bad head design, but in the end we came to find out tuners were running too much timing. This created too much cylinder pressure which caused the heads to lift immediately. Of course any owner still under warranty took their brand new truck back to the dealer for service after removing the programmer. And the dealer who just got a $7,000 job dropped in their lap that had a guaranteed paycheck from Ford was all too eager to do the job. And so the stories get started about how bad these engines are and how bad the head gaskets are. I am a firm believer that there are many head gaskets that get changed that have absolutely nothing wrong with them. Of course as many know the solution to keep the heads clamped to the block is new gaskets and ARP head studs. Most owners who are confronted with a possible head gasket issue usually just bite the bullet and install new gaskets and head studs to be done with the problem once and for all. If you are buying or own one of these trucks, my advice would be to keep it in the back of your mind that you may be putting head gaskets in it sooner or later. But do not just resign to the fact that the head gaskets are bad every time you take it into the shop. We have seen bad head gaskets be diagnosed when the real problem was a bad degas bottle cap, plugged heater core, unrelated coolant leak, plugged oil cooler, or our next topic: the infamous egr cooler. More so, there is absolutely no reason to replace the head gaskets unless you have a leaking one. 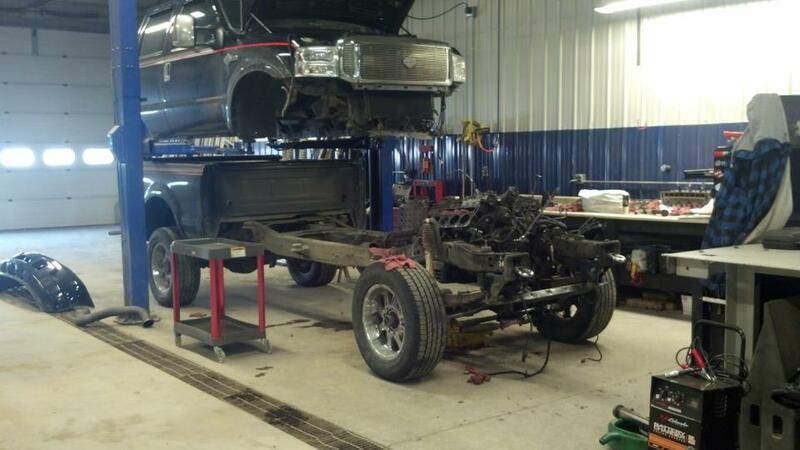 We see many trucks go a couple of hundred thousand miles easy with the stock head gaskets without a failure. If you are in the engine for some other reason already and it makes sense to do studs and gaskets I would, but I wouldn’t make a special job of it unless you are building a high horsepower truck or know for certain you have a blown gasket. Also there is nothing wrong with using the Black Diamond/Victor gaskets. They are identical to the OEM Ford gaskets. There were some “Black Oynx” gaskets on the market for a while that may have had some issues but they have been discontinued. The surface of these gaskets was completely black all over instead of just around the opening like the new Black Diamond 6.0 head gaskets. Also, if you are doing a head gasket job it is extremely crucial to have the heads surfaced or they probably will not seal back up. The next thing you may have read or heard about is the egr cooler and/or valve. This system is just a nightmare on these trucks. For emission purposes the engineers designed a system to reintroduce exhaust gases into the intake manifold to be reburnt. Exhaust Gas Recirculation. While I suppose it must have met whatever standard for emissions that they had to meet, it is a nightmare for anyone who owns these trucks. At the very least sooner or later your egr valve will either become completely clogged up with soot and quit working or just plain fail. Which leads to terrible running that commonly gets misdiagnosed as bad injectors, faulty FICMs, bad turbos, or a host of other shade tree guesses. How the egr system works is as follows. The hot exhaust gas is let into the egr cooler from a pipe between the exhaust manifold and the turbo. This exhaust has a temperature anywhere between 400-1400 degrees. In order to cool the gas before introducing it into the intake, they have coolant running through the egr cooler to exchange the heat. On the other end of the egr cooler is the egr valve. This valve opens to let exhaust gas into the intake manifold when the pcm decides conditions are proper to do so. The major problems with this system are two fold. First, dirty, sooty exhaust gas is being blasted into your intake tract. The soot covers everything in it’s path. It is not unusual for us to tear down a motor that has had it’s egr system intact it’s whole life and find the intake ports into the head to be coked up to half their diameter. The intake manifold becomes restricted from this coking as well. But that is not the worst problem. The extreme heat acts on the cooler and breaks it down. Sooner or later it will rupture either letting coolant into the exhaust or intake. (lot’s of misdiagnosed head gaskets here since fluid can run into the cylinder once you shut the engine off and hyrdolock it up) Really bad leaks let exhaust pressure into the coolant system. Which if not taken care of quickly can and will result in blown head gaskets. But wait there’s more. The extreme heat that the coolant is trying to scrub away in a normal functioning egr system breaks down the coolant. Some of the components of the coolant start turning into a goo like substance that does a really nice job of clogging up all sorts of coolant related parts. If you have been doing any research about these engines you have no doubt heard about replacing the oil cooler. These need replaced because this goo will clog them up. Oil temps will then be elevated causing quick overheating when the engine is worked. Also, the coolant leaves the oil cooler and continues to the egr cooler next. If the oil cooler is restricted, your egr cooler will not get enough coolant flow to keep it cool. Next thing you know, blown egr cooler. Then of course a shop diagnoses the bad egr cooler, replaces it, and the customer comes back in a month with another blown egr cooler. It is not unusual for us to get trucks that have had six or seven egr coolers replaced in their lifetime and never an oil cooler. This is the kind of stuff that gives these engines a bad name and it stems from the people working on them misdiagnosing them and not doing complete repairs. My advice to you would be to delete the egr cooler out as soon as possible and replace the oil cooler if you have more than 50,000 miles on the truck when you do it. At the very least, if you have to have the egr system functioning, replace the cooler with a upgraded one that has a very robust center section that will not rupture. 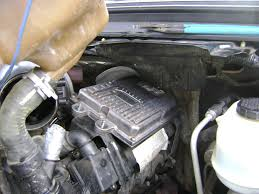 Adding a coolant filter to every engine is also a great way to combat coolant contamination and is a must. The next area that comes up all the time is injectors. Another horror story area. I have heard reports of customers having three or four complete sets of injectors changed and still not fixing the problem. Do you think it might not be the injectors? This is an area where only competent mechanics with proper diagnostic equipment can do a good job. Any moron can suggest to swap out a whole set of injectors to “see if it fixes it.” Run away from that guy. There is equipment available to pin point nearly any injector issue. A good diesel shop should have this equipment. Replacing a whole set of injectors because you are not smart enough or well equipped enough to find the bad one is ludicrous. There are two basic problems that happen with these injectors. The first is normal mechanical failure. 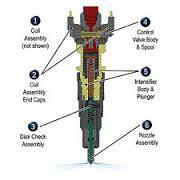 The mechanical parts in the injector just wear out or break and cause a dead miss. Most mechanics can figure this out with basic scan tools. Just replace the bad injector in this case, there is no need to replace the whole set anymore than there is reason to replace all your teeth if you get one cavity. The other injector problem is from what is called stiction. The injectors on the 6.0 have two spool valves on top of the injector. One opens the injector to let high pressure oil in to fire the injector and the other closes it. After time and use, these spool valves will start to weaken. Especially when the engine and oil is cold, weak spool valves cannot pull the valve open and closed fast enough to operate without severe missing. This is what causes the common complaint of terrible starts and cold running until operating temperature comes up to normal. When the oil and engine temp reaches normal the truck will run like normal with no performance problems. Combating this issue is tough. Regular oil changes with good oil helps. Maintaining a good electrical system also helps. But unfortunately stiction usually happens sometime in the life of any injector. We have equipment that can pinpoint which injector is sticking. In most cases one or two injectors are the culprit and just replacing those two injectors will solve all the cold start issues. Again, good diagnostics are going to be needed here to figure out whether you have bad injectors, bad batteries, bad glow plugs, a bad ficm or something else that is causing your hard cold starts. Be leery of the mechanic who immediately prescribes a complete set of injectors as the fix all. Also if you are having rough running at start up but the problem goes away when the coolant temp gets to normal, you may want to try a couple of bottles of Rev X with your next oil change. We have had great luck curing many trucks with these cold start symptoms with this additive. As long as we are on injectors, one more thing. When you are replacing them, there is absolutely no reason to replace the whole set or side if you have one bad one. A competent experienced mechanic should be able to replace an injector (WITH THE CAB ON) in two to three hours, period. That small amount of labor is not worth spending the extra money on the other three injectors for that side if they are still functioning properly unless you have a pile of miles on the engine. When buying replacement injectors, make sure you are using a quality injector. Alliant, Pure Power, and Black Diamond all make good 6.0 Powerstroke injectors. They each have their own benefits that we will discuss in another article. As I write this we are selling these injectors starting at $225 each. Most “rebuilt” ones you see floating around on the internet are $140-$200. These are usually not quality units. The spool valves are not being changed or tested. It is not unusual to have stiction problems very quickly have installing them because the spool valves have who knows how many miles on them. Buy a quality injector the first time no matter what great deal your mechanic claims he has on these rebuilt ones. We went through a pile of them in the past. They are not worth your time or money in the end. Along with injector problems are Fuel Injection Control Module (FICM) problems. This is the silver box that is mounted on the driver’s side valve cover of your engine. It’s job is to convert regular 12 volt vehicle power to the 48 volts the injectors need to fire. It also has programming that controls injection timing to some extent. If this module breaks down internally, it will not provide for proper injector operation. A faulty FICM can cause hard starts, missing, poor performance, poor fuel mileage, and a few other problems. A good scan tool can check the FICM for proper operation. It should put out 47+ volts under all operating conditions. While a FICM can and will eventually just wear out, a quick killer of these units is low battery voltage or charging system problems. We see trucks on a regular basis that come in that have one or two bad batteries. The owner usually has trouble getting the truck started for a week or so and brings it in. Bad batteries will ruin a FICM quickly. If you have one battery go bad, just replace both of them. Spend $100 on a battery and save $800 on a FICM you won’t have to replace. Btw, if you do need a FICM, you do not have to get one from the dealer exclusively. We can program a new blank FICM in house and many other shops can too. If your shop can’t, we can send you a new FICM that is preprogrammed and ready to install in your truck. You don’t have to pay the ransom the dealership wants for these units with labor and “programming” heaped on top of the price. Btw, if you suddenly get a cylinder contribution code from all eight injectors, you need a new FICM. Don’t let your mechanic change all eight injectors. Also we have had some good luck using 58 volt fuel injector control modules lately. They seem to aid in cold starts. And lastly, no 6.0 problem article would be complete without touching on turbos. I cannot stress enough how often the turbo gets blamed for poor performance when there is absolutely nothing wrong with it. Here are just a few misdiagnosed bad turbos from the last week. One guy heard a pop and lost all boost pressure. No smoke, no oil leaking anywhere, but lost all his power. “The turbo isn’t working. My mechanic says I need a new turbo.” After talking with the guy for a few minutes I found out an intercooler boot had come off. I advised him to fix it first and he was on his way. The second one was a customer who had the turbo replaced not once but twice and now the second one was bad after two weeks. Come to find out his exhaust backpressure tube was completely plugged. Since the pcm uses exhaust backpressure to command the turbo to open and close down the exhaust side and wasn’t getting good feedback, the turbo performance was erratic. No turbo needed there either. We had a guy with a blown intercooler that had been misdiagnosed. There was another with a sticking egr valve that was calling for a new turbo. All those people were going to buy or did buy a turbo when they absolutely did not need one. Turbos are another item on 6.0 Powerstrokes that I hear, “Those engines are junk. I had to put six turbos on it since I have owned it.” No you didn’t. You paid your mechanic to put six turbos on it and the sixth time he actually noticed what else was wrong in the first place. Here is how to see if you turbo is bad: Take the inlet from the air cleaner off the turbo. You will be able to see the compressor wheel. Grab the end of the shaft with your fingers. Does it spin freely without coming to a sudden abrupt stop? If it spins good, it’s good. When you have a hold of the shaft, try and move it side to side and then in and out. Some minor play is acceptable. It’s hard to describe exactly how much play is ok to someone who hasn’t worked with many turbos. The best I can do is this: If it feels like it is moving back and forth against a uniform bearing, it is probably ok. If you are picking the shaft up from the bottom and it falls back down when you let go, the bearings are probably out of it or worse. The other test for the turbo needs to be done with a scan tool. With a scan tool you actuate the valve that moves the variable veins in the exhaust side of the turbo. You should hear the exhaust tone change and see a fluctuation in back pressure. If nothing happens, either the actuator is bad or it is possible the variable veins in the exhaust side of the turbo are coked up and need cleaning. This can be done by removing the turbo. Disassemble the exhaust housing and clean the rust and soot out of there. If you are having a problem that is diagnosed as a bad turbo check the shaft play and turbo actuation first. If both of those are ok, you do not need a turbo. Only good diagnostics will find the real problem. A turbo isn’t a mystical device. It is much more like a wind mill. If it is not spinning and not broke, there may be no wind. If it is spinning but not producing any power, it may not be connected on the output side. 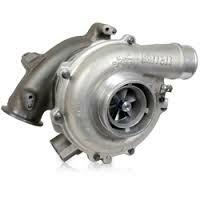 If you do find out that you do indeed need a new turbo, we have a great selection of 6.0 Powerstroke turbochargers. I realize this has gotten pretty long and there are still a few other things to touch on. But this should give you a heads up on the most common problems these trucks have. I personally have four of them. One I drive every day and the other my wife does. They both are reliable, get good mileage, and have great power. The Ford Powerstroke 6.0 is not a bad engine at all. Much of the “junk” or “problem” label that has been given to them is from poor maintenance, worse diagnostics, and just plain unscrupulous shops who change and charge for many parts the customer doesn’t need. Worse yet is the whole aftermarket niche that has sprung up with the next great fix for these motors. With proper maintenance, diagnostics, and competent repairs, these engines are as good or better than any of the other diesel pickup motors out there. We have put together a check over list for the 6.0 Powerstroke trucks. If you are going to purchase one of these vehicles or if you just want to give your current truck a good check over, this list is essential to have. If you sign up below for the email we will send the check over list absolutely free and also email you the Ford 6.0 Powerstroke information book. This book includes an in depth explanation of all the 6.0 Powerstroke systems along with diagrams and photos.